One of the primary challenges in working with dads is building the capacity of staff to talk with and counsel dads one-on-one. Whether trying to help a dad during a 5-minute intake or a 1-hour coaching session, staff can struggle with what to tell him when it comes to the most critical challenges dads face. Helping staff meet this and other challenges is what National Fatherhood Initiative® (NFI) is all about. 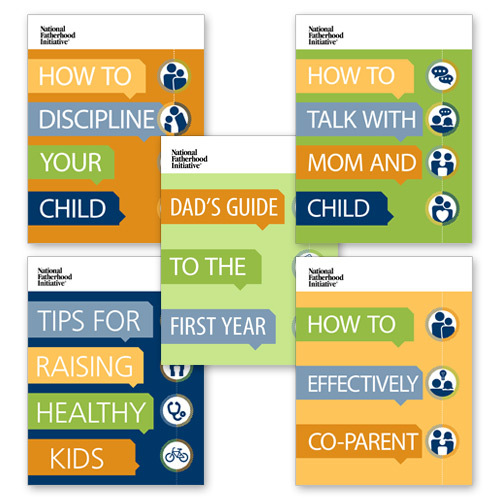 That's why I was so pleased to learn about the unexpected but encouraging use of NFI's How to eGuides as a resource to help staff more effectively talk with and counsel dads. These forward thinking practitioners have distributed the eGuides to front line staff, case managers, home visitors, coaches, and staff in other roles. Because the eGuides are in PDF, staff store them, for easy reference, on their desktop, laptop, tablet, or even smartphone. They review them in preparation for interactions with dads and can pull them up in the heat of the moment when a discussion unexpectedly turns to one of these vital topics with which so many dads struggle. I encourage you to acquire and use the How to eGuides as a staff capacity-building and development tool! Click here and here to learn more about and order a How to eGuides bundle. (One comes with the guide for new dads and one without it.) And remember that you only need to order them once. You can distribute them to as many of your staff and dads as you like!